Working with the brief given and the legacy photo archive, I have developed a set of draft ideas for a new logo suitable for branding Convergence’s new dance studio and their first website. 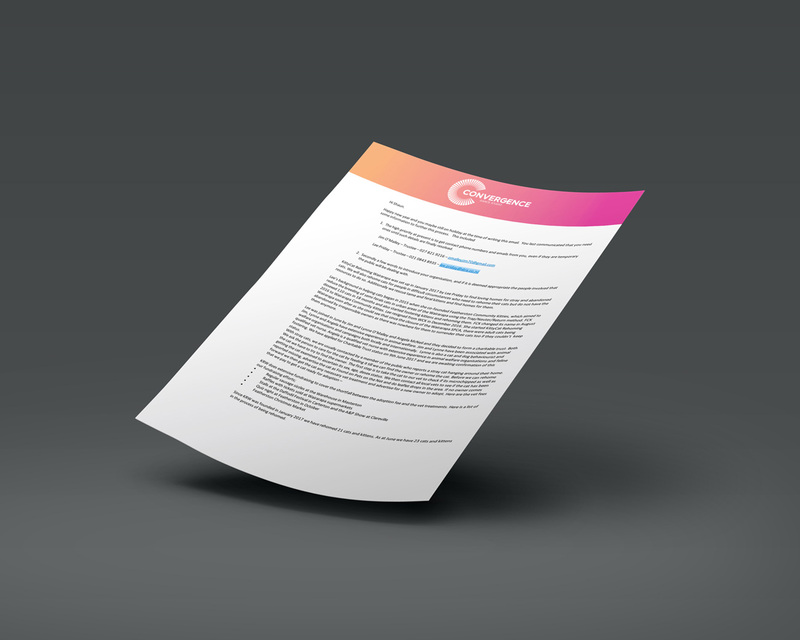 This portfolio showcases the proposed logo presentation document and visuals of brand equities. 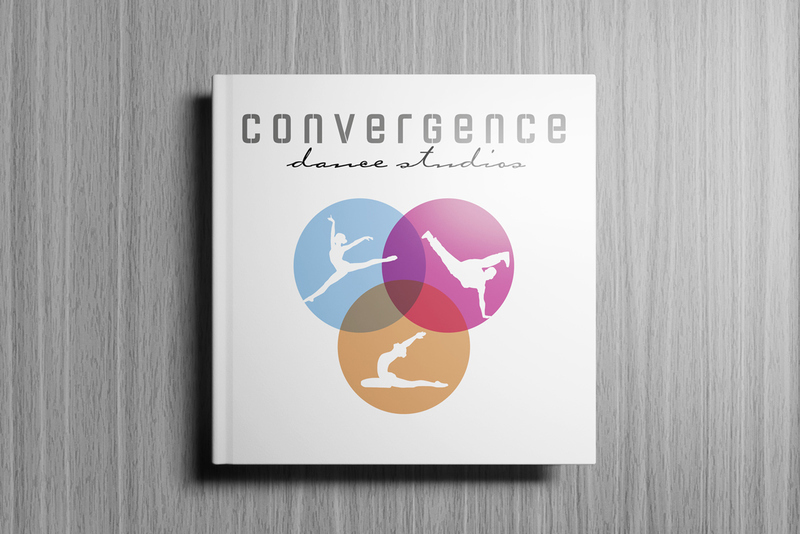 In terms of a dance studio the Convergence name implies a place where the teaching of different forms of dance comes together in one place. Characteristically convergence is the idea that in the convergence zone, where different forms of dance meet is a mutual uplifting of all the forms of dance, of students and teachers. 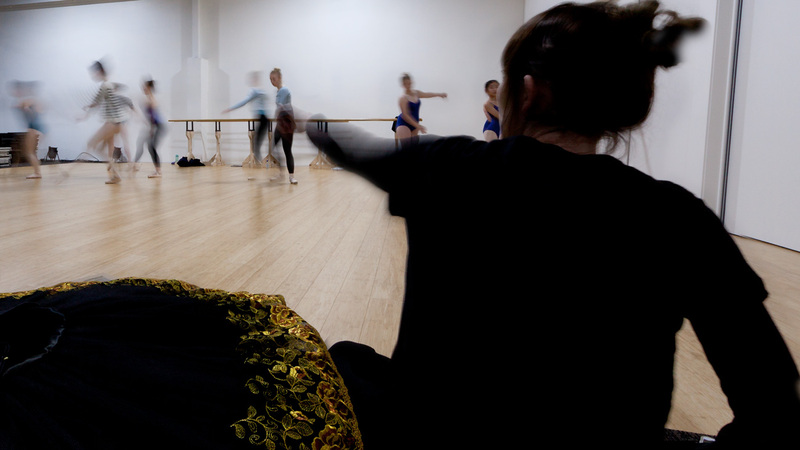 Principal dance teacher Olivia instructs an evening class in the brand new purpose-built Convergence Dance Studio. Colour is one of the most important and compelling components of this abstract logo design and typographic design. 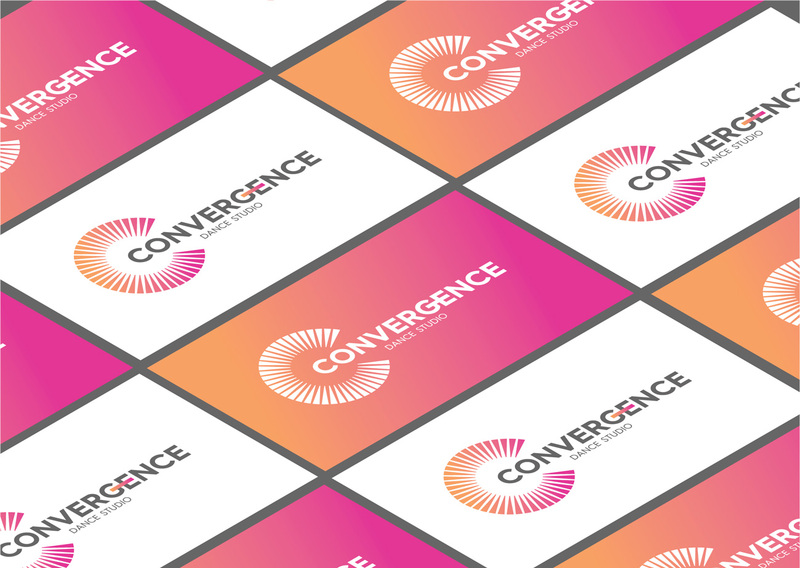 The Convergence logo is symbol depicting 4 circles intersecting. They create a pleasing visual double-entendré where the central area overlap forms a stylised, 4 petal frangipani flower, while the spaces between the petals form 4 stars reminiscent of the Southern Cross. This set of various combinations of full colour and one colour line versions affect the mood of the design and show it is versatile in use, retaining clarity and readability of the design. The flexible impressionistic logo icon symbolises the layers of ideas bound up in the Convergence name and the ideas of a Dance Studio and a school of Dance in a symbol that is a visually pleasing double-entendré, and strong enough at small sizes to work very well for branding the website. The Convergence brand logo identifier. In this abstract representation of convergence there is a balance between the clean and well organised and the bold and playful. To create a total brand presence I have selected a harmonious colour family to make up the central element of the symbol, while the brush style handlettered font allows the name to be easily read at a glance. The flowing script adds human warmth to a name that could otherwise, set in a neutral font, have a rather austere and clinical look. Convergence being a name used by e-commerce integration, pharmaceutical and recruitment firms. Type reinforces and expresses the Studio’s personality and identity. The pairing of an energetic, playful, flowing brush script “Indie” contrasts nicely with the clean and well organised, modern neutral font “DIN medium”. Indie is an active and energetic font, it’s elegance brings strong symbolism of the idea of dance to the studio’s name, and the soft roundness of the brushed letters communicates friendliness and approachability. 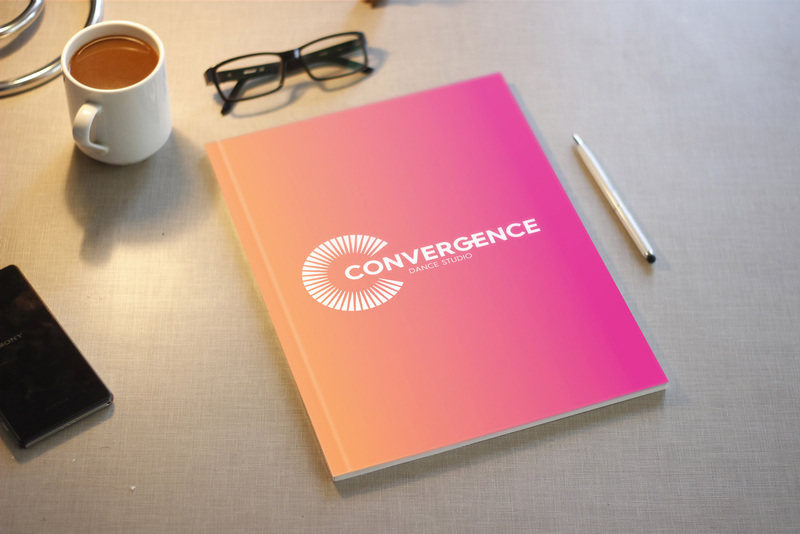 The fonts I have chosen create a face for the Convergence brand. 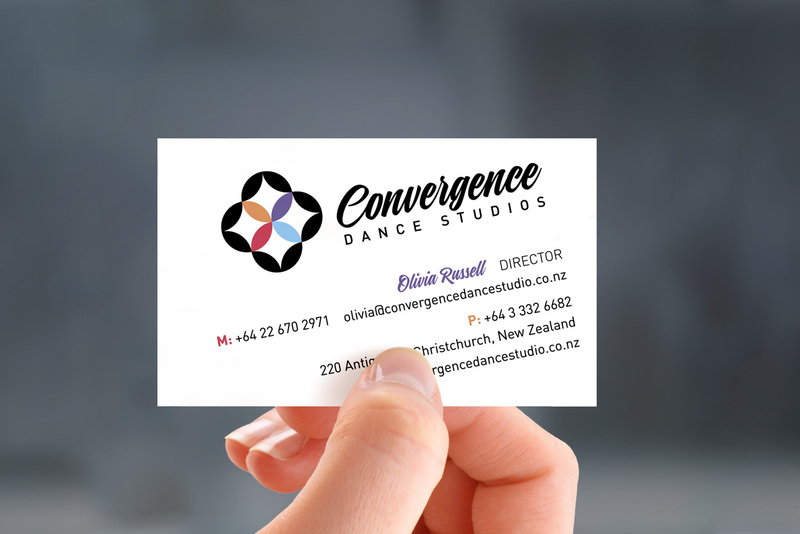 Successfully combining these typefaces makes the logo easy to read and helps communicate the Convergence Dance Studio message to the audience of students, parents and the public better. DIN medium is a modern typeface with strong structure and geometric form. This contrasts well with the elegant flowing style of Indie. Using a bold script font also makes the horizontally condensed name “dense” information that is easy to read. Splitting the logotype into two stories is another means of condensing the long-ish name in a way that makes it easy to read. The line version of the brand mark works really well in black and white. The new logo is designed to work well against bright and dark backgrounds, in full colour, and one colour in “line”, (i.e. suitable for embossing) or line and tone. It is also designed with universal principles, reproducing equally well at large and small sizes in print, on the web, and on any promotional items, signage, apparel, stationery, forms, brochures and advertising. The new logo works well against bright and dark backgrounds and in small as well as large sizes. Outdoor signs attract with their graphical imagery while presenting eye-catching looks and content that fits with the overall brand expression. Capitalising on the Convergence Studio’s prime downtown site with good-looking signage will make sure the Studio is one of the proud performing arts cornerstones of the rebuild. 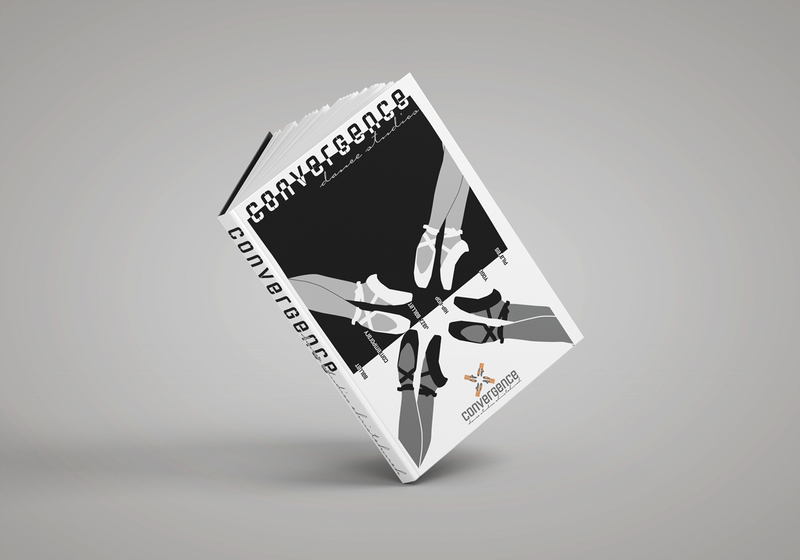 The visual representation of Convergence Dance Studio is one of the important components in the overall marketing communications mix. The prime central city site in the heart of the rebuilt arts and recreation precinct means that sign graphics will be a key part of the branding that imparts a signature visual presence that makes a strong first impression and is memorable. Posters are a form of advertising that’s accessible and quickly developed from the legacy photo archive combined with the proposed new brand equities. 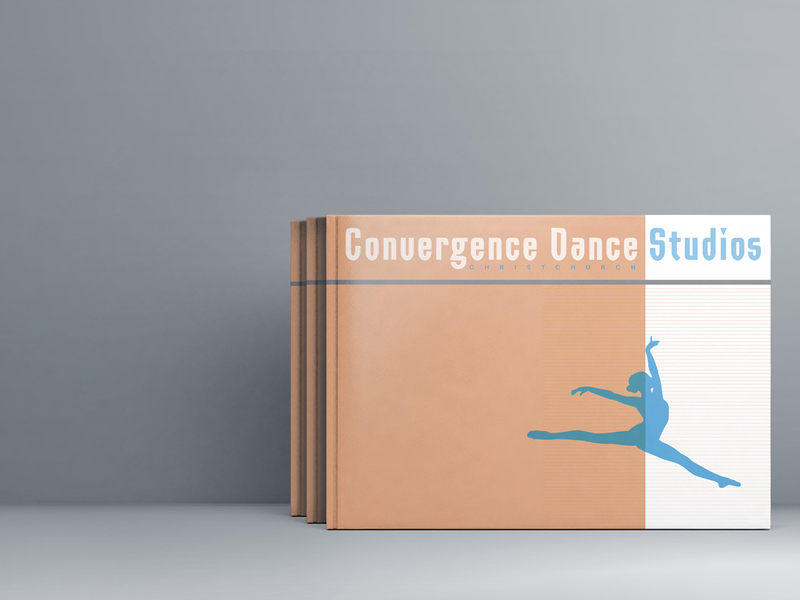 I developed this set of draft ideas for promotional / commemorative posters that announce the new site of Convergence Dance Studios in the central city. The powerful thing with abstract design and art direction for a logo design is that it is not tied down by trying to represent external reality, but rather seeks to achieve its persuasive effect using shapes, colours, composition and textures. 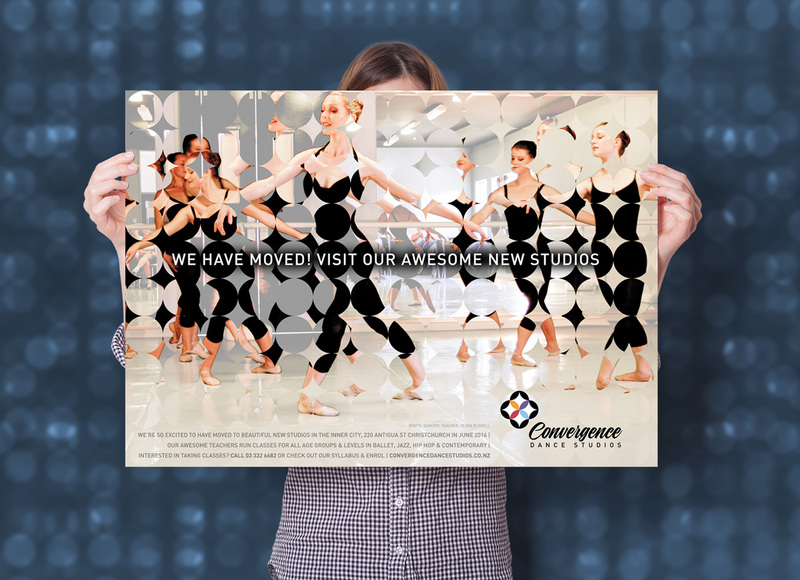 This draft “We’ve moved” poster expresses some of the excitement felt by students and teachers at this keenly awaited “great leap forward” for Convergence Dance Studios. A poster with a “truth to materials” view of a Convergence dance school class. 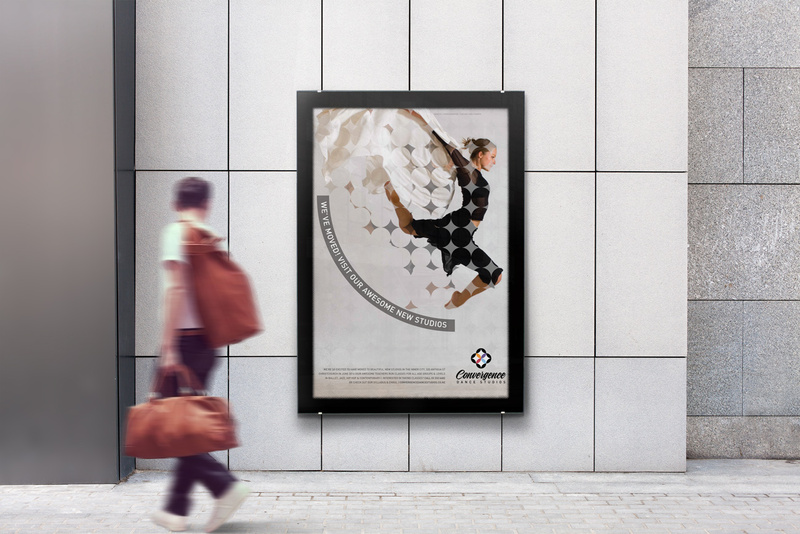 This draft poster design represents the work ethic, the blend of passion, education and constant engine of motion that drives the students, the teachers, and the parents supporting the young dancers. 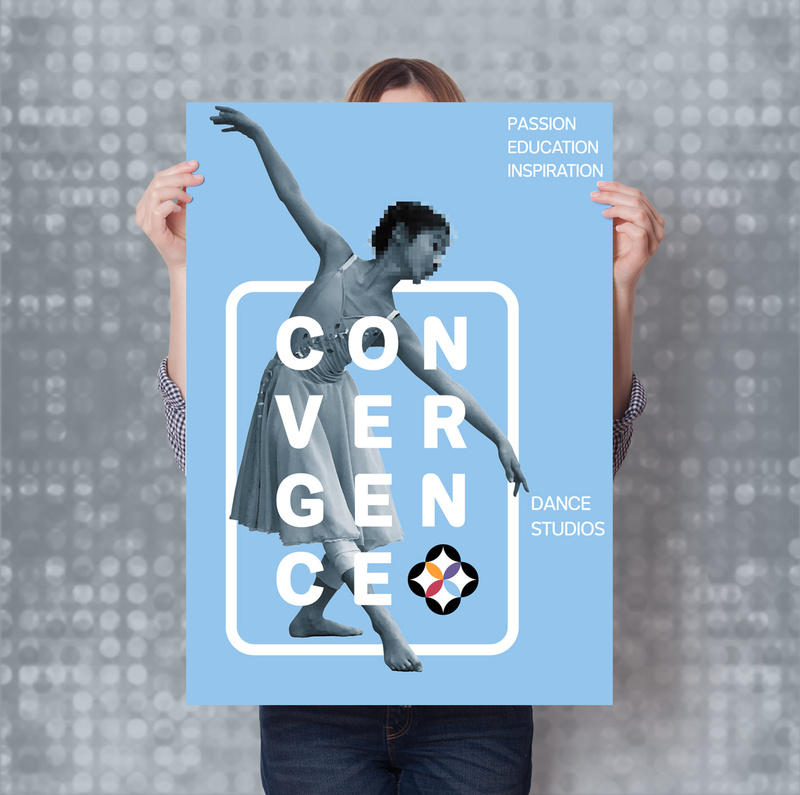 The single-minded proposition of this draft poster is to inspire by focussing on the fruits of an individual’s work ethic, their passion and consistent effort as an evocative illustration of Convergence Dance Studio’s merits. 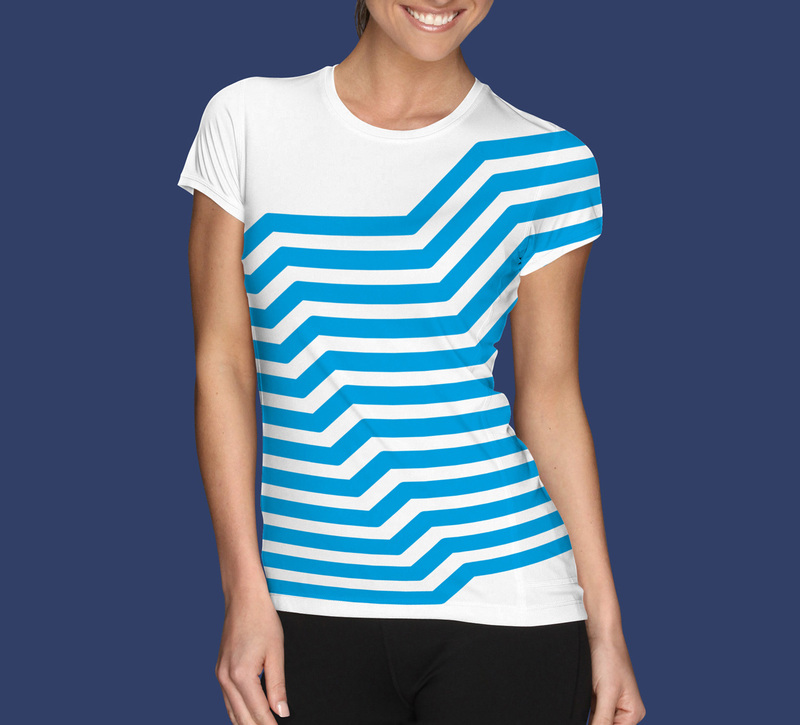 This Convergence Dance Studios’ promotional tee-shirt inspires in the spirit of fun. 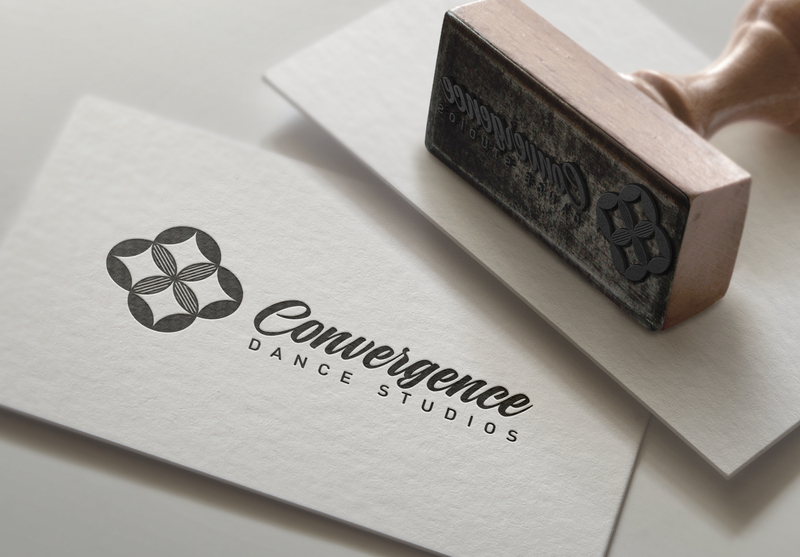 Draft ideas for Convergence Dance Studios’ branding collected, a range of ideas developed for the brand. The Convergent/Radiant C is an abstract concept that refers symbolically to a stylised tutu viewed from above. The luscious colour blend introduces elements of warmth, youthfulness and fun. The appeal of an abstract op art or optical art design for a dance studio is the sensation of energetic movement by the precise use of pattern and colour, or the way conflicting patterns emerge and overlap. 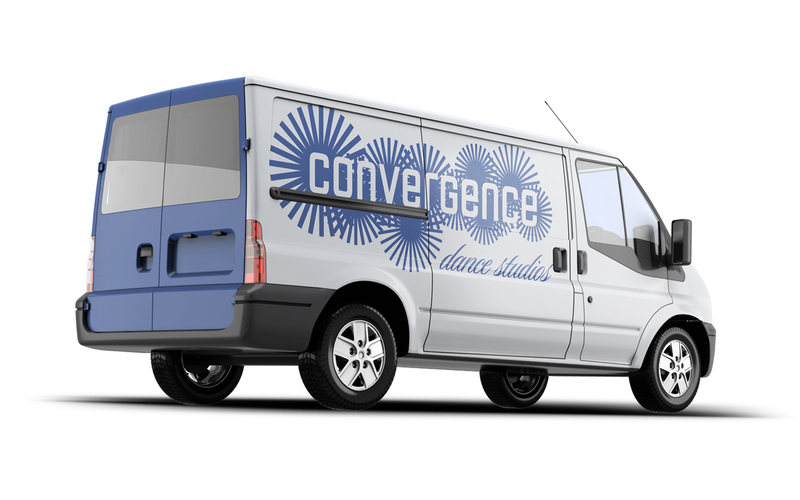 The grand jeté is a leap forward, as a silhouette it makes a fitting mark or character logo to represent Convergence Dance Studios. The grand jeté is a jubilant, uplifting aspirational mark. The variety of dance styles taught at Convergence, ballet, modern jazz, hip-hop, yoga and stretch classes makes it enjoyable for students young and old. A highly effective logo works well on light or dark backgrounds. Taking the words ‘convergence’ and ‘dance’ in their most basic sense without metaphor or exaggeration I represented the name Convergence Dance Studios exactly and realistically. 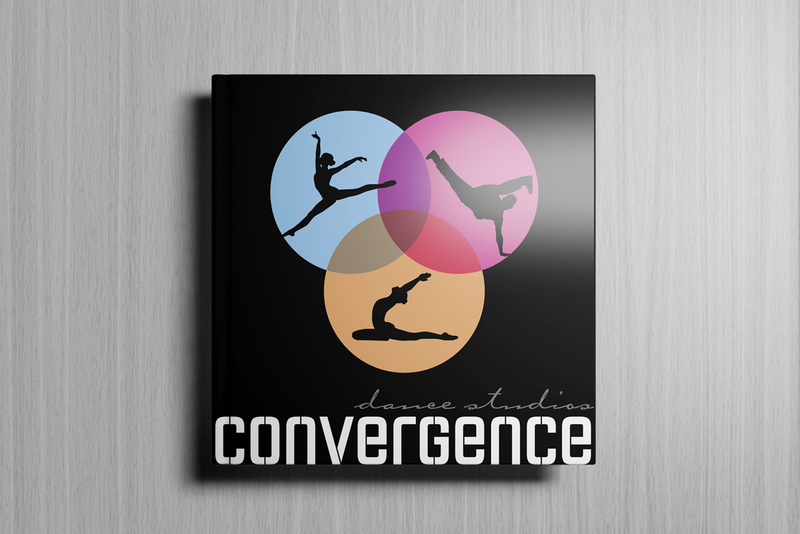 Another variation of a symbol and type logo, here the pictorial embellishment of type with overlapping radiant tutus in plan view, the various sizes represent the range of age groups taught dance at Convergence Dance Studios. Some performances the school stages include younger and older dancers. Previous Post: What makes a good logo?